The machines used in the building were not manufactured by the Zamboni Company and should not be referenced as Zamboni machines. The machines were manufactured by the Resurfice Company and their brand name is "Olympia". 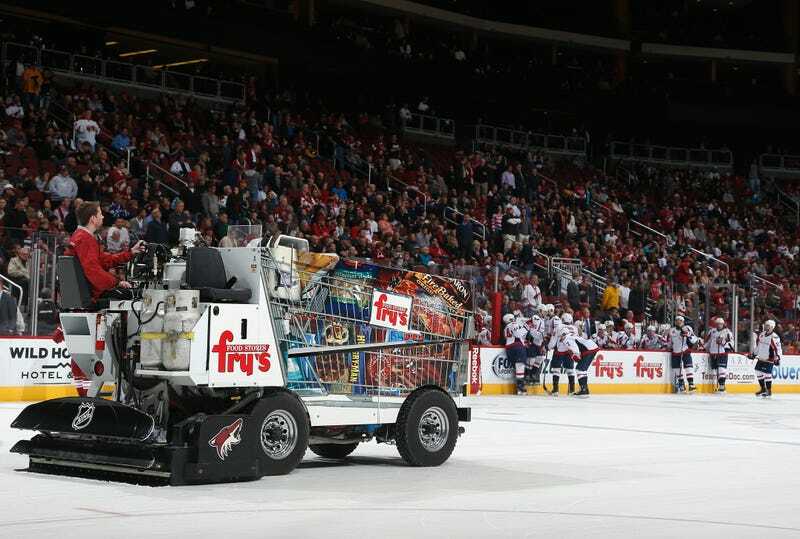 The proper reference would be "ice resurfacing machine" or "ice resurfacer". The writer appears to have used our brand name in error throughout the entire article. I am certain you can understand the importance of using the proper brand name in connection with reporting any sort of story connected to a product, but particularly when used improperly in connection with an unfortunate incident such as the one you've cited. We're doing the best we can to notify the news outlets which improperly referenced our brand name. Many of the groups used "ice resurfacers" or the proper brand name of the manufacturer, but we've invested quite a bit of time over the past couple of days reaching out to those that did not. Please make the corrections to the improper references in the headline and article and contact me directly should you require additional information. You can read the original report below. Consider this an update about the accuracy of Zamboni® usage.